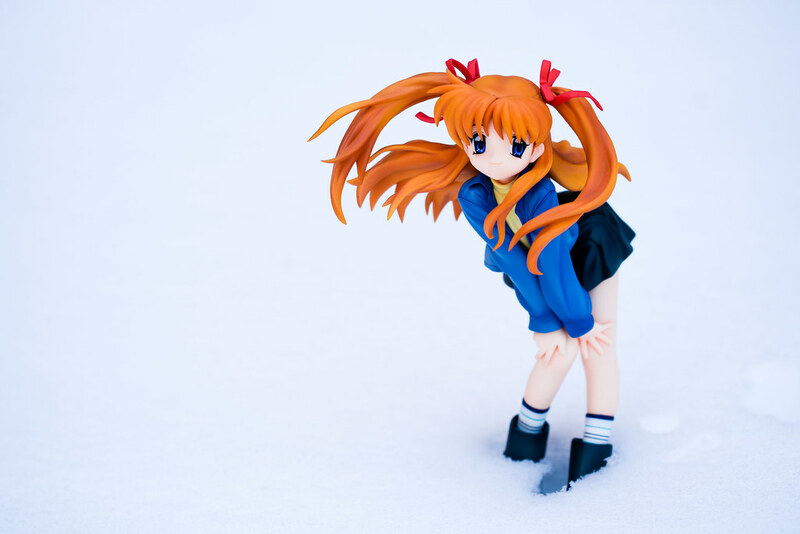 I always wanted to take a photo of Makoto in the snow. Makoto is one of my grail figures, I was so overjoyed when I finally acquired her. I immediately wanted to take photos of her in the snow, alas I do not live in area snowy enough. Thus I was happy getting some unusual snow during the last gasps of winter and took this photo. I want to take a photo of Makoto when snow is actually falling but for now I think my itch has been scratched a little until the day I am able to.